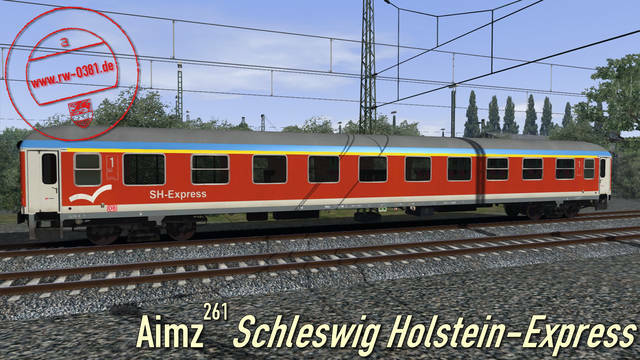 Travel First Class between Flensburg on the Baltic Sea and Fischen im Allgäu. 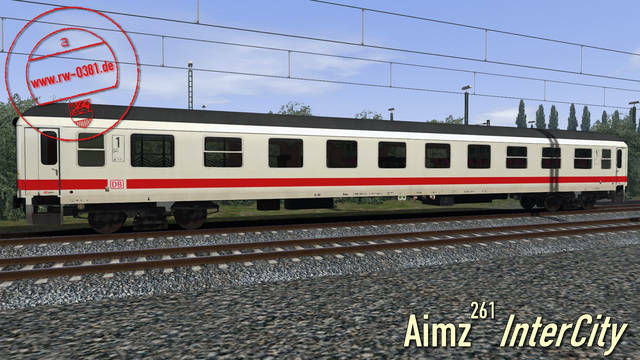 You are on the safe side with the Aimz 261, not only during InterCity travels or InterRegio services, but also on stopping trains, and this with speeds up to 200 km/h. 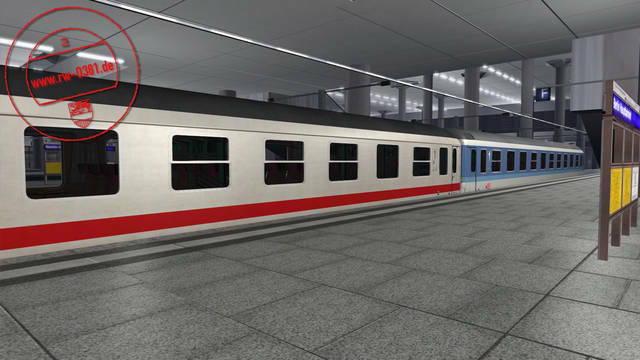 All coaches have dynamic numbering and animated doors. 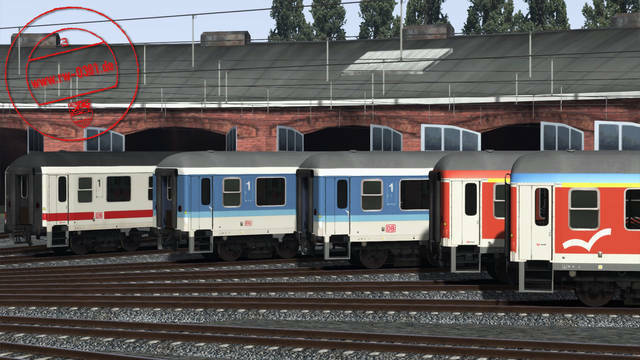 They are also fitted with excellent custom sounds by Trainworks. 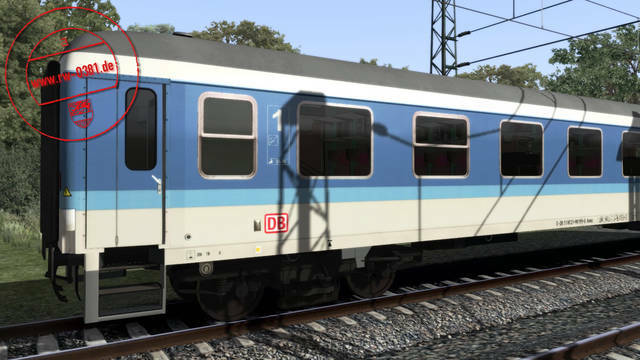 Note: This coach set is also part of the 3D ZUG InterRegio Bundle. 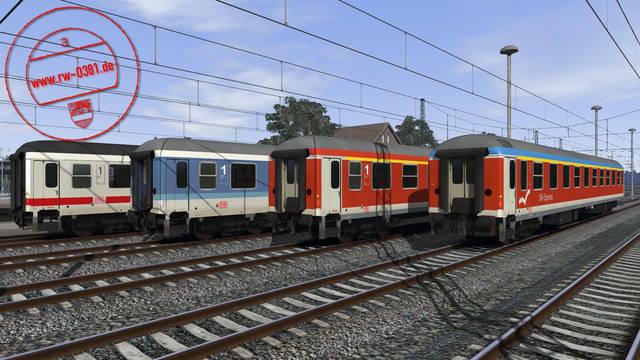 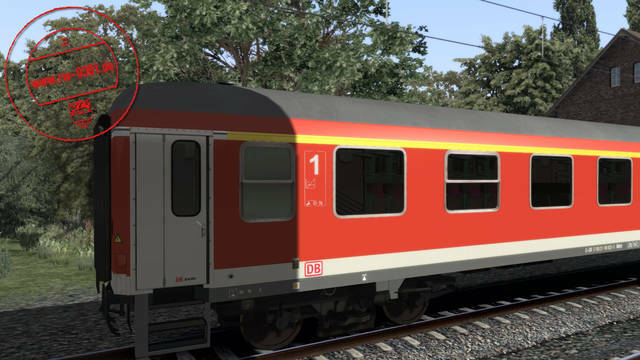 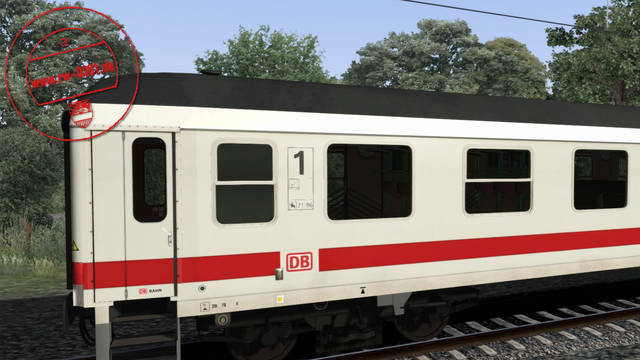 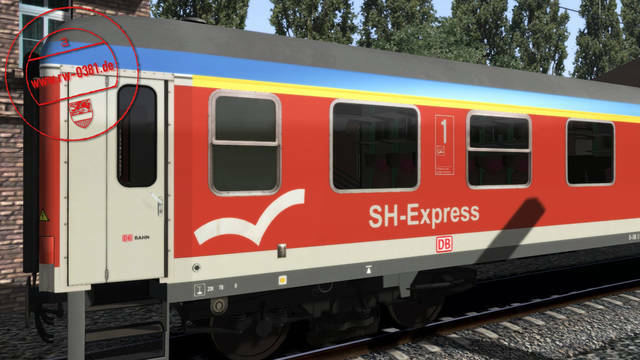 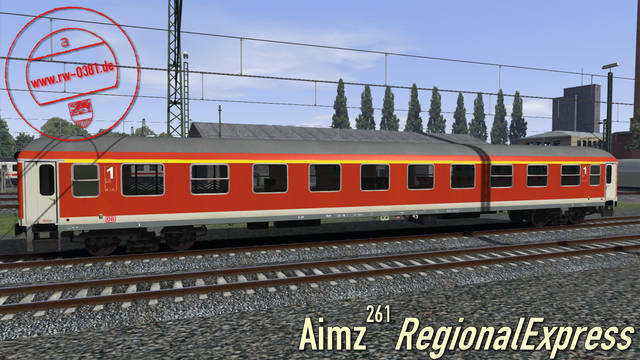 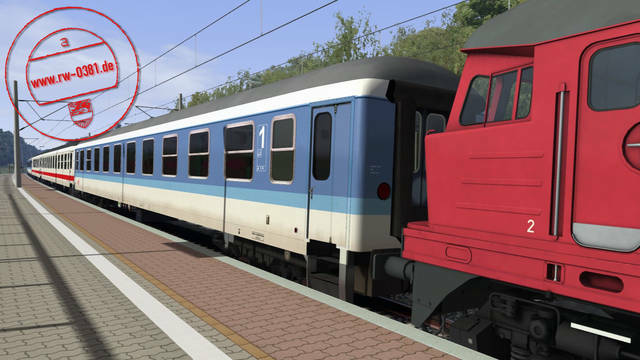 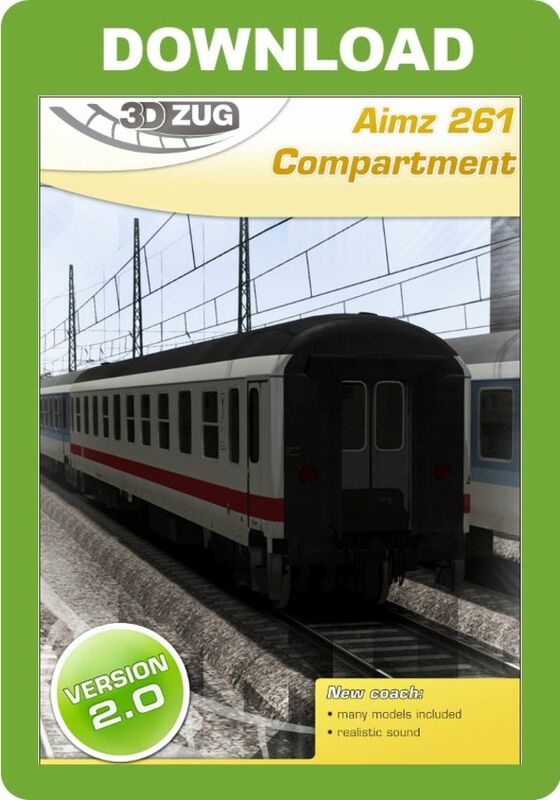 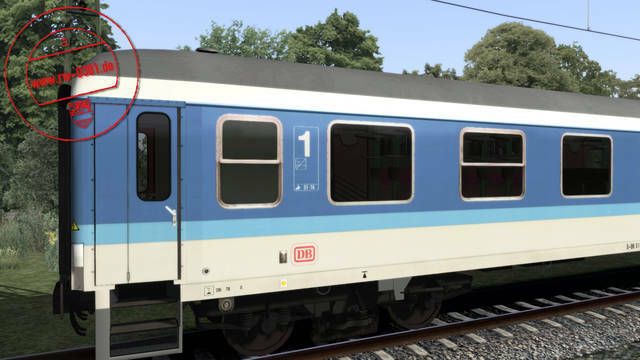 This 3D ZUG package of passenger carriages for Train Simulator brings you five variations of the Bimz 261 coach - DB and DB AG InterRegio, DB AG InterCity, DB AG Schleswig-Holstein-Express and DB AG RegionalExpress, all with dynamic numbering and animated doors. 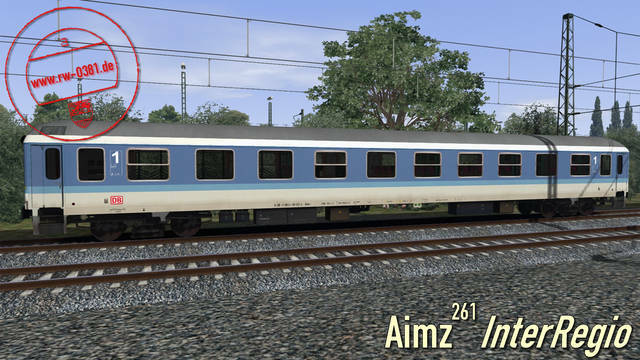 The coaches are compatible with the VirtualRailroads ZWS system and all feature excellent custom sounds by Trainworks.